Our coastline suffers an ‘outdated’ reputation, but it’s simply not true. 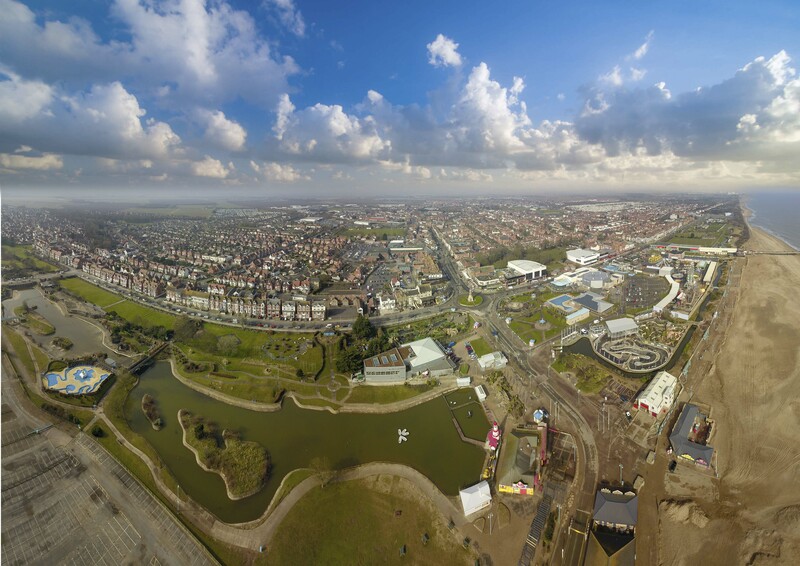 The success of the beaches like Skegness in the past and the change in the nation’s choice in holiday destinations has meant it has been branded a ‘more affordable’ option. 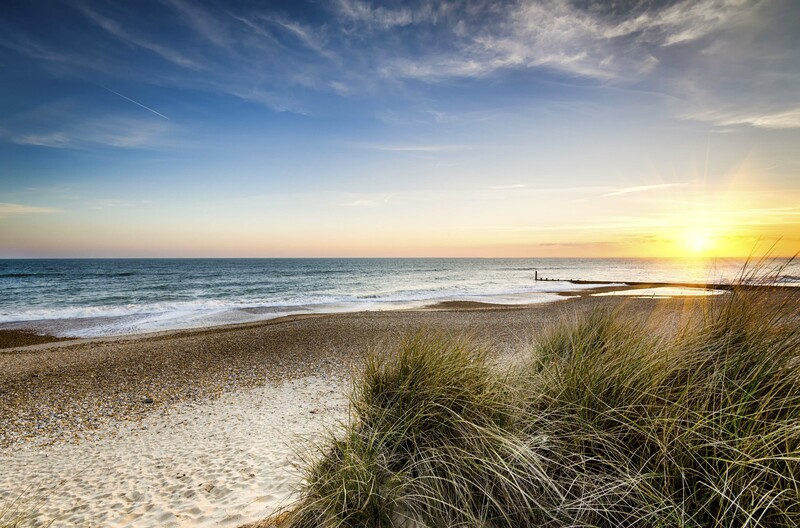 Although it’s less of a tourist hotspot these days, it still has panoramic views of golden sand weaving between swathes of Marram grass, giggling children dipping their toes in crashing waves and dogs sprinting freely through sea spray and warm summer air. It’s a beautiful place to visit and on our doorstep. every Yellow Belly’s bucket list. Skegness’s award-winning sandy beach is long and wide with activities including donkey rides and the Fairy Dell paddling pool for younger visitors. There’s also the Pleasure Beach and the arcade machines that offer a real sense of nostalgia and excitement. For sightseers: look out for the Jolly Fisherman, the Clock Tower which is the focal point of the town, and the Pier jutting out into the sea. For foodies: fish & chips is certainly elevated in this seaside town. With Chip Pan Alley and chippys scattered throughout the town and nearer the beach, you’re spoilt for choice. 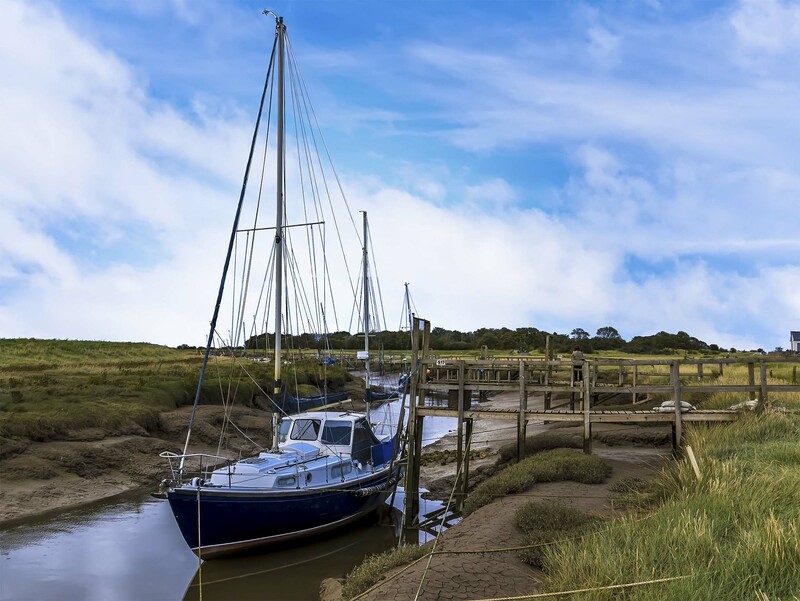 For dogwalkers: head to Gibraltar Point, the nearby nature reserve, and stroll along saltmarshes and fresh water habitats. Dogs are not allowed on the beach here though. Cleethorpes is a seaside resort with close ties to the nearby town of Grimsby, the county’s fishing capital. It offers miles of sandy beaches and a plethora of amenities and activities, including donkey rides, a paddling pool and a boating lake. For sightseers: visit the award-winning gardens on the promenade, or walk along the well maintained pier to look back at the beach. For foodies: there are plenty of fresh seafood restaurants thanks to nearby Grimsby. Enjoy crab, lobster, or a more modest pot of cockles as you walk along the golden sand. For dogwalkers: the beach itself is dog friendly from October to Easter. This beach is well known for its strip of multi-coloured beach huts sat prominently on a defensive structure built during the Second World War. Chapel is a sand and shingle beach, and is a perfect beach if you’re looking for somewhere a little more secluded, quiet and peaceful. For sightseers: it has to be the coloured huts which have stood there for years. For foodies: the resort town has several pubs and restaurants to try if you venture away from the beach. For dogwalkers: the beach is dog friendly after September, and is a good spot if you don’t want to bump into too many dogs, or donkeys for that matter. Being very much unspoilt by over-development, Anderby Beach is the perfect place if you want to discover the beautiful Lincolnshire coastline. It is a peaceful, tranquil place, away from the loud tourist attractions of some of the area’s better known resorts. For sightseers: this really is just a beach to enjoy an expansive view of see and sand. For dogwalkers: the beach reopens in September. This is also a very relaxing spot to visit, contenting itself with attractive gardens and a children’s paddling pool in addition to its sandy shores. It also has a strip of coloured beach huts, usually the backdrop to people lounging on deck chairs in the summer months. For sightseers: sunset along this beach is really special, lengthening the shadows of the huts. For foodies: head further inland for well-rated chip shops. For dogwalkers: the beach will open again in September. There is plenty to entertain at this beach, from an amusement arcade to kayaking and canoeing, crazy golf, donkey rides, sailing and even windsurfing. For sightseers: there is a wildlife and seal sanctuary to visit. Donna Nook is equidistant to Mablethorpe and Cleethorpes famed for its seal life. For foodies: Mablethorpe’s town is full of restaurants and bars, and has a good nightlife too. For dogwalkers: the beach is dog friendly to the left of the promenade but watch out for donkeys! Ingoldmells is the stretch of coast in between Skegness and Chapel St Leonards. It’s the home of funfair Fantasy Island, and is renowned for the variety of family pubs along with a great beach bar, once the only beach bar in the UK. For sightseers: look out for the ships off the coast on their way to Grimsby. For foodies: visit the beach bar. For dogwalkers: the beach is open to dogs. This is definitely one for dog walkers. It’s a quiet, rural beach backed by grassy sand dunes. As well as being plenty of room for beach games the beach is used by swimmers, surfers, sea anglers and bird watchers. For sightseers: look across the rolling waves to spot the offshore wind farm in the distance. For foodies: head further inland. This is less of a tourist’s beach and so there aren’t many places to eat. For dogwalkers: there is a variety of good walks in the area. There are currently no restrictions on dog walking on the beach. This is one for nature lovers. It’s a superb unspoilt landscape of salt marshland and sands. For sightseers: you can see plenty of habitats from tidal sand and mudflats, to salt and freshwater marshes. For foodies: the nearest town is Mablethorpe. For dogwalkers: it seems the tide never fully comes in here and it is always a fair walk to the waters edge, so you can have a very clean beach walk here! In the late 18th and early 19th centuries, Freiston’s sandy shore on The Wash was developed as a sea bathing resort. By the mid-19th century there were horse races and other attractions on the beach. However, the process of coastal accretion caused a salt marsh to develop. It’s now a great place to visit for bird watchers especially. For sightseers: look out for avocets, redshanks and plovers. For foodies: there are picnic areas dotted around the shore. For dogwalkers: keep your dog on a lead around the shore so as to not upset wildlife.